Mahjabin Bridal & Party Lehenga. Dupatta: Burgundy Color Dupatta with lace and craft by glittering stone and karchupi work. Choli/Blouse/Top: Beige color with inner and velvet on border known as lace deftness of Stone and Karchupi work and obviously its semi stitched. 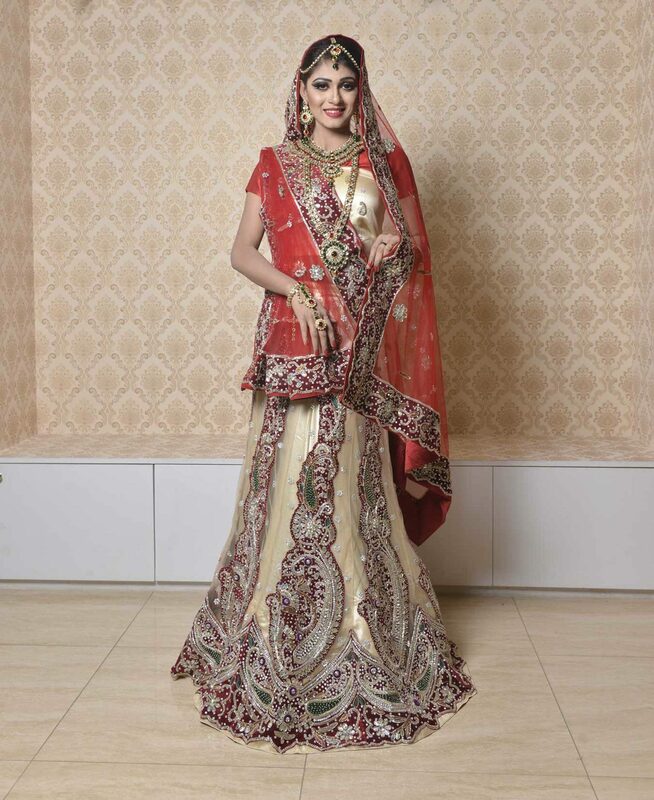 Lehenga/Ghagra: Net and the whole craft are on velvet design of stone work and karchupi work.